The sunflower (Helianthus Annuus) was originally a native of North America and was turned into a single headed plant by the native Americans in about 3000BC. They used the seeds to grind for flour, mix with other foods, to squeeze for oil and as a snack. They also used the seeds as dye, medicine and shampoo and the stalks were used as building material. It was the Spanish explorers, never having seen such a plant, who sent the seeds back to Europe in about 1500 and by the beginning of the 18th century the seeds were being squeezed for oil within different countries in Europe. 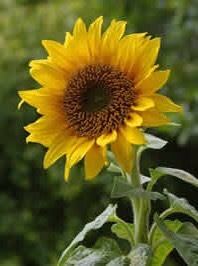 By the early 19th century Russian farmers were growing over 2 million acres of sunflowers for oil and human consumption. Somehow (probably through Russian immigration to North America) the sunflower made its way back to the US and by the 1970s about 5 million acres were being grown there in order to supply an increasing world demand. Just out of interest, it is only during their growth period that sunflowers tilt to face the sun. Once they are mature plants they face East. 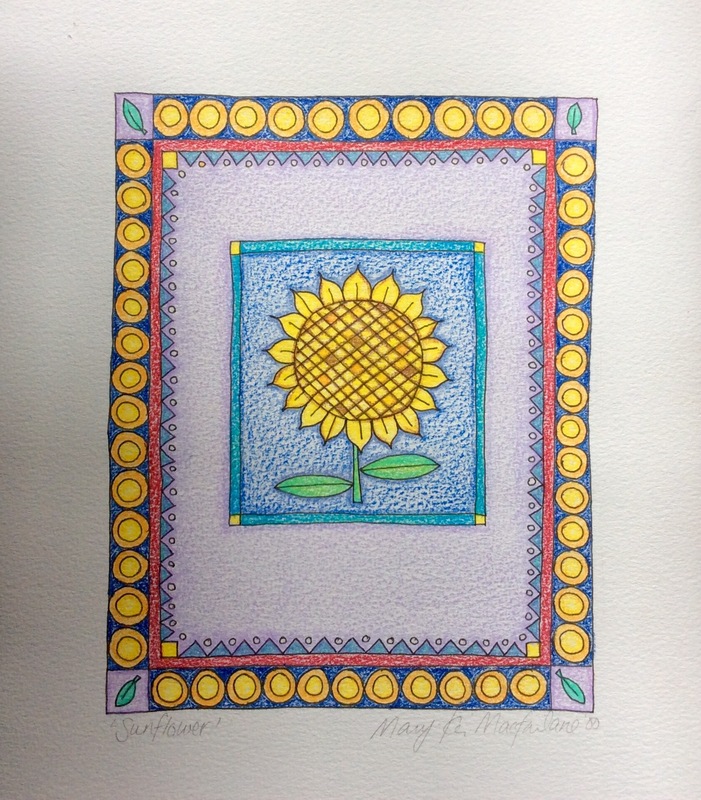 This next charity shop find is entitled ‘Sunflower’ and signed by Mary K? Macfarlane 00. There is a New Zealand artist of the same name but her work is quite different. I am not sure what medium the artist has used for this or indeed whether it is a print but I think it is very attractive and I have learnt a lot about sunflowers! Will now look to see which way sunflowers are facing.